On January 3, 2003 Leslie Brown was driving her car on RR#9 southwest of Napanee, Ontario. The road way icey. She lost control of her vehicle while travelleing down a hill, and then hit a loaded propane truck. Ms. Brown sustained a traumatic brain injury. She has no recollection of the car accident on account of post traumatic amnesia. Her doctors have told her that she will never be able to return to her job again. She will require 24/7 attendant care for the rest of her life. Never mind caring for her children, she will need somebody to care for herself for the rest of her life. Ms. Brown sued Lennox County and the Town of Napanee for failing to properly maintain their roads. She alleged that had the roadways been properly salted and sanded, that the car accident never would have happened. This is what we injury lawyers refer to as a Muncipial Liability case. These cases are always tricky as the standard to prove negligence against a Munipaility is much greater than then standard of proving negligence against a regular individual. A 19 day (3.5 week) trial was heard some 7 years after the accident. Imagine that, waiting 7 years to have your day in Court. Seems crazy to a lay person, but that’s about a normal wait time for a civil car accident trial. Ever crazier that a lawyer would say that waiting 7 years for your trial date is “normal“, But I digress. At trial, the Honourable Justice R. F. Scott assessed Ms. Lloyd’s damages at $280,000.00 in general damages for Ms. Lloyd; $2,449.00 for loss of past earnings; $930,694.00 for loss of future earnings; $29,200.00 per year for three years for supervising and attendant care at night and $2,000 per year thereafter for contingencies; $129,129.00 for renovations to the existing dwelling, and $120,000 for a Family Law Act Claim for Ms. Lloyd’s husand. The grand total of damages was over $1,520,000 plus legal costs. Unfortunately, for Ms. Lloyd, that was just the Judge’s assessment of damages. He did not actually award Ms. Lloyd any damages at all. Instead, he took the view that Ms. Llloyd was not a credible witness, and that the Municipality was NOT negligent for this accident. In Justice Scott’s view, there was no neglience. What that means is that after a 3.5 week trial, that Ms. Scott has lost her case, and that she was not responsible to pay for the Defence’s legal costs. Justice Scott ordered that Ms. Lloyd pay the Defence’s costs in the amount of $401,000. Talk about taking it on the head. 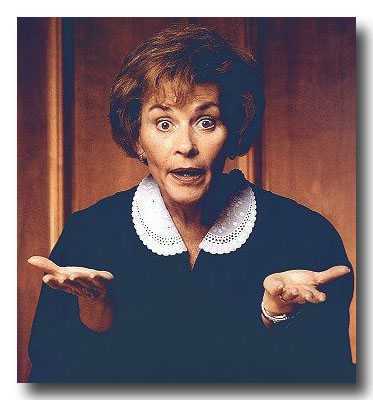 What was even worse, was that the Judge added on an additional $15,000 penalty because he thought that Ms. Lloyd alleged fraud against the Municipal Defendants. A copy of Justice Scott’s costs decision is attached here. You see, under the Rules of Civil Procedure, if a Plaintiff alleges that the Defendant committed fraud, and if the fraud is not proven in Court, then the Defendant is entitled to a greater degree of legal costs following the trial. There are multple reasons for that, one of the biggest is that a fraud judgment survives following a bankruptcy. This means that even if you go bankrupt, you can’t shake the fraud judgment. It sticks! Hence the higher cost consenquences if a Plaintiff fails to prove his case. So why is Brian Goldfinger Injury Lawyersyer extraordinaire highlighting this case for all of my Toronto Injury Blog readers? It’s very simple. You see, the Plaintiff in this case did NOT allege fraud. The fraud allegation was superimposed on the Plaintiff by the Judge. He completely misinterpreted the facts, and for whatever reason told the Plaintiff and his lawyer that you’re alleging fraud, and I now find that your case fails! Sounds crazy doesn’t it. A Judge telling a Plaintiff and his lawyer how to lead their case even though they didn’t plead it that way, and then awarding additional costs against them for having done so. A Judge’s job is to listen, and to be a trier of fact. It’s the job of the lawyer to frame the case, and present the evidence to the trier of fact. In this case, the Judge over stepped his boundaries and made what the Court of Apppeal has called an “erroneous characterization of the evidence“. The Globe and Mail thought this case and this story was so interesting that they wrote a column about it. You can check it out here. Judge: So you’re alleging fraud? Judge: Well, the evidence sounds like you’re alleging fraud. Lawyer: I’m just presenting the evidence your Honour. My clients have not pled and are not alleging fraud. Judge: But is sounds like a fraud happened. So you’re alleging fraud and that’s that. Lawyer: I’m not alleging fraud [emphasis added]. Judge: Stop saying that. You’re alleging fraud and I won’t hear anything differently. I must admit that based on the transcript, I was very impressed at the way the lawyer seemed to handle himself in the face of the Judge’s questioning on this issue. If you actually read the Court of Appeal’s decision, you will also find that they ruled that Justice Scott appeared to have a reasonable apprehension of bias against the Plaintiff. He made a comment/ruling on her credibility half way through the trial, which is not allowed. End result, Ms. Lloyd got put through the legal ringer having waited over 10 years for an outcome in her case. Judges aren’t perfect. They make mistakes. Some judges are better listeners then others. Some judges have bad days. Some have bad weeks. Some have bad months too! Unfortunately, this can have a devastating impact on your personal injury case as we’ve seen with Ms. Lloyd.